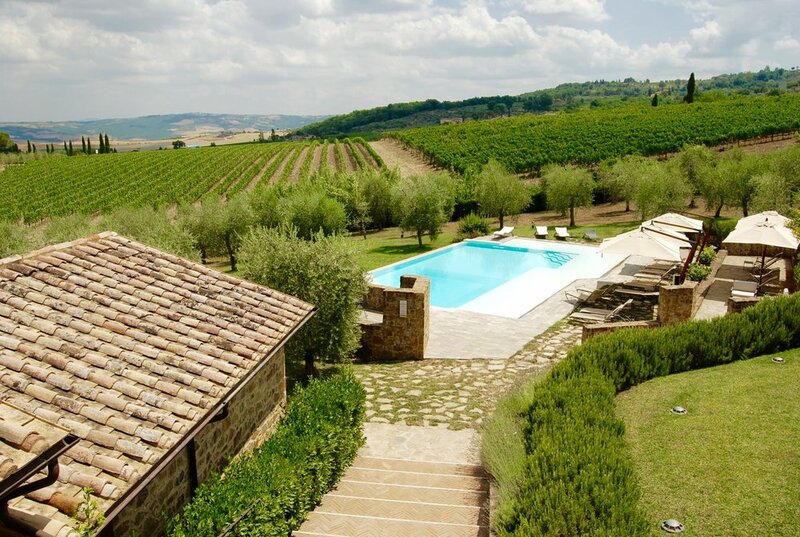 The beautiful estate of Canalicchio di Sopra in Montalcino, Italy. I can think of no better place on earth than Tuscany, and specifically Montalcino, to practice the art of being. "Far Niente" as the Italians say, and the fact that they have a specific phrase for this delicious idleness says it all. I found myself in Tuscany for the very first time last month, on the heels of few fast weeks of exploring the surrounding areas it was a welcome slow down. The very first indication you get of pace in Tuscany is the rate at which the sun sets. The sun in Tuscany is different, and she takes her time with the golden hour which becomes many hours, and a glorious painting that extends with the same long and lazy demeanor beyond the vast Tuscan countryside and into far off lands - on both sides of the day. Tuscany sunrise from the town of Montalcino. During my time in Montalcino I visited Canalicchio di Sopra, a beautiful family owned winery situated perfectly in the Tuscany countryside on 60 hectares, nearly 150 acres, 47 of which are cultivated vineyards growing the only grape this winery focuses on: Sangiovese. The tasting room at Canalicchio di Sopra, a winery with wines that score high and are featured in Wine Spectator. The estate with heritage since 1962, has a long-standing history of supporting the development of Montalcino, and was one of the twelve founders in 1967 of the Consortia del Vino Brunelli di Montalcino. While private, the tasting room and estate are open to the public for tasting appointments and even small group stays and special events and retreats. 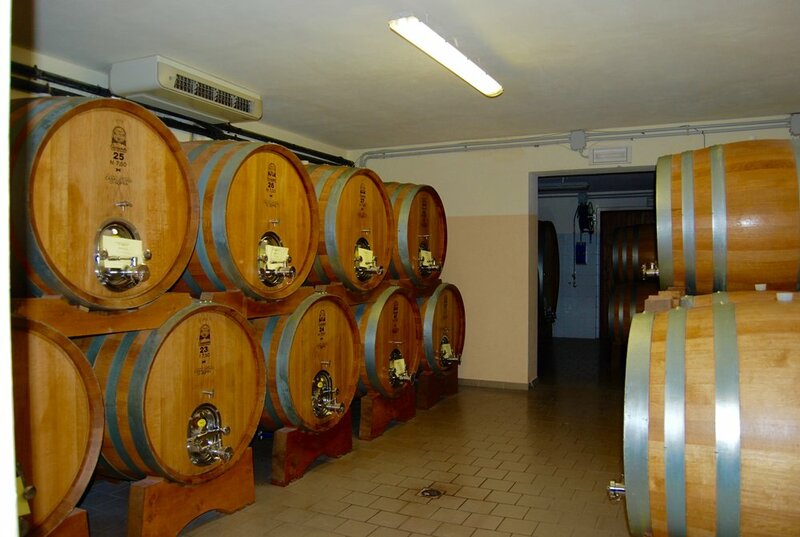 Part of the cellar at Canalicchio di Sopra. In addition to the tasting room, vineyard and cellars, the Canalicchio di Sopra estate has five separate guest room apartments, two salt water pools, a five acre meandering garden and panoramic views of Tuscany. 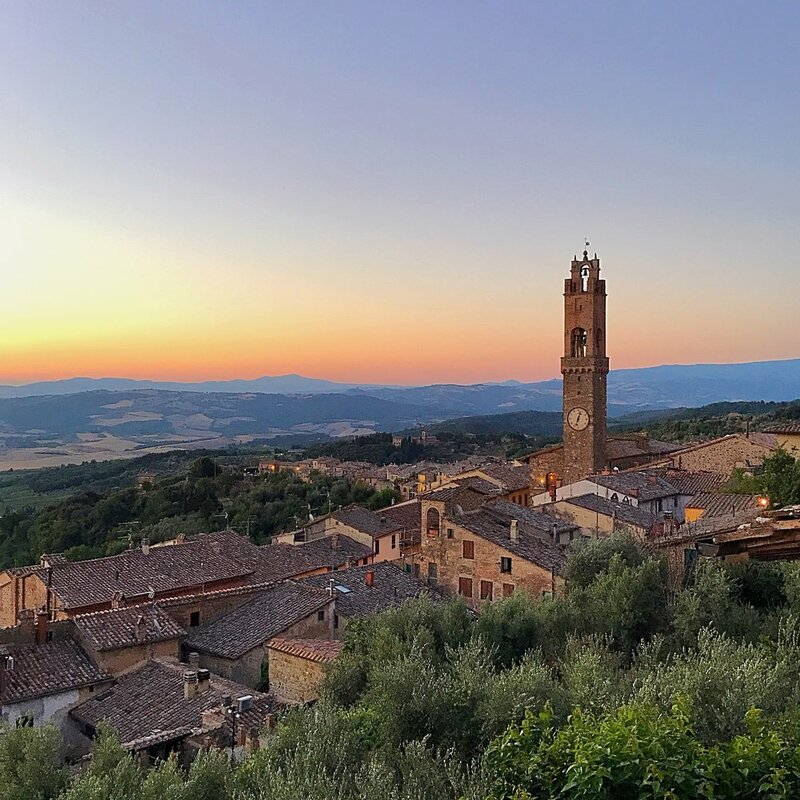 One of the many upcoming events hosted at Canalicchio di Sopra is a Magic of Montalcino experience which will host 10 guests for one week of total emersion into this very special place in Italy. Food, wine, adventure, shopping, cooking, a full week of all things Montalcino - every magical thing. One of the many cozy cafes in downtown Montalcino, Italy. The Cannolicchio di Sopra estate in Montalcino, Italy.